Short. 2016. 40 min. Directed by Dina Zvi-Riklis. 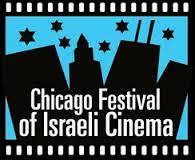 Starring famed Israeli singer/actress Esther Rada and Yehezkel Lazarov (The Fifth Heaven, The World is Funny). 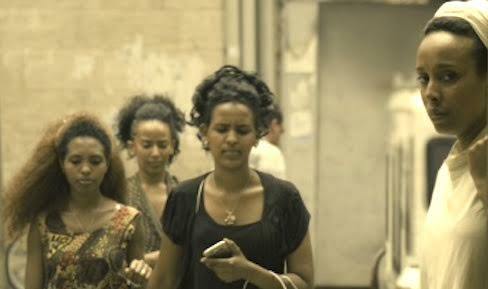 In Tigrinya, English and French with English subtitles. own country and seeks refuge in Israel. U of I’s support affords us the unique opportunity to hear from two A-list Israeli directors (who happen to be husband and wife). Born in Iraq and raised in Ramat Gan, writer/director Dina Zvi-Riklis describes her identity as “Ashkenazi Iraqi.” As s young girl, she read a book, Rachel Eytan’s The Fifth Heaven, and eventually made a powerful feature film of it by the same name. In a career spanning 30 years, she has made 10 films. Her feature, Three Mothers, was nominated for 9 Ophir Awards. In each of his popular feature films—The Lemon Tree, The Syrian Bride, Human Resources Manager, Zaytoun, Cup Final, A Borrowed Identity—British-Israeli Eran Riklis has mixed sensitive subjects with humor and dignity. The result is always authentic. He has produced several of his wife Dina’s films.